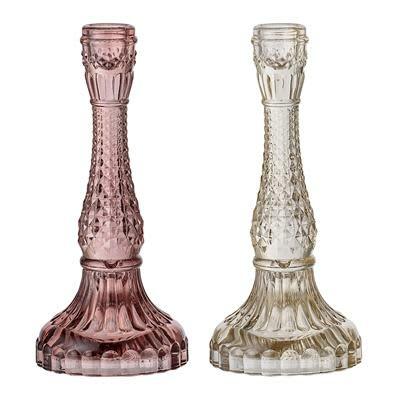 We love these vintage inspired Bloomingville coloured glass candlesticks! Perfect for the mantle piece or to finish off a spectacular dining table. Sold individually not as a set. Product finish: This item is in spray colored glass.